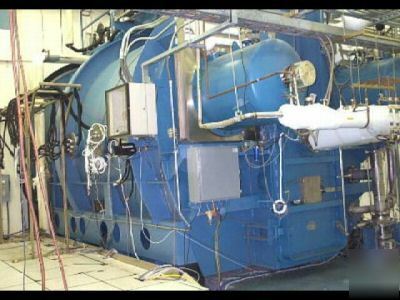 Vacuum thermal space simulation chamber 12'4"X22'6"
Subject: Vacuum thermal space simulation chamber 12'4"X22'6"
Internal Dimensions 12'4" x 22'6"
All major Vacuum componants included in offering. 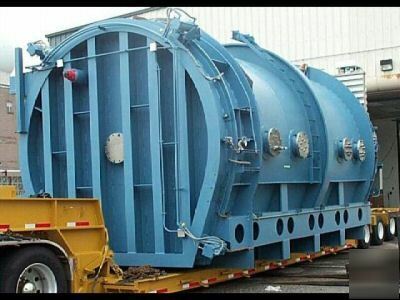 We purchased this unit from a major defense contractor and sent in teams of professional contractors to remove the unit in a manner that would facilitate the unit being moved and reconnected at another location with the least amount of effort. Nitrogen connections have been sealed and all electrical connections have been marked for easy reinstallation. The chamber comes with a "package pumping system" that includes roughing pumps, blower, and nitrogen systems. The system also includes a large turbo pump, and 2- 35" cryo pumps. 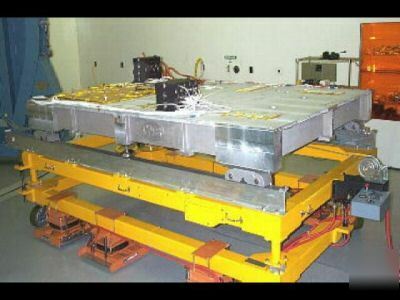 We also include in the offering a large electrical switch system that was used with the chambe. Please note that the inside of this unit is clean enough to eat off of. Nothing dirty ever entered this unit. 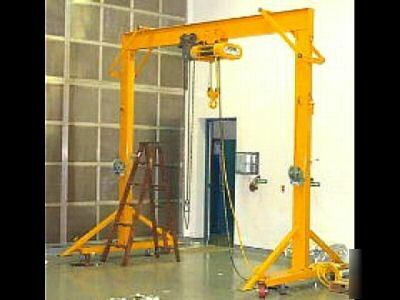 The system is currently stored in a warehouse in New Jersey and can be ready to move with only a few days notice. We will provide the name and contact person of the rigging company that moved the system for us and we will be happy to help facilitate the move to your location. * Inside of Thermal Shrouds 10x20'6"
* Roughing Pump skid - loaded! 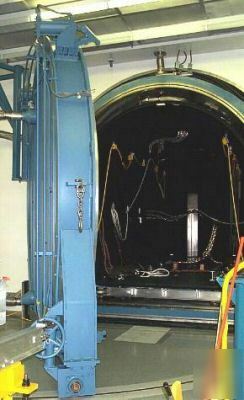 * Large Hinged Door in front - swings 110 degrees, vibration isolated when closed. 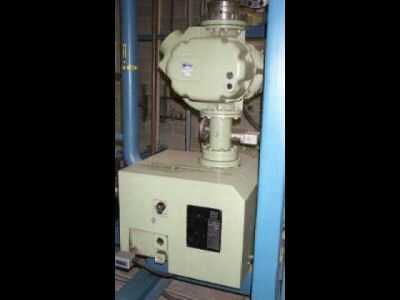 * Roughing Pump Skid Package-Ruvac WAU-2000 on an S series, Leybold S 400F Vacuum Roughing. 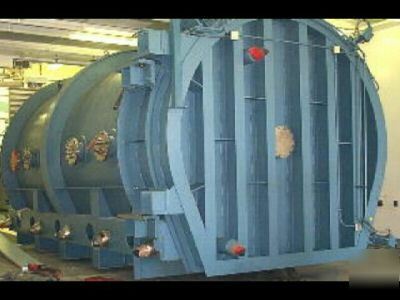 * Isolation Vibration - chamber and fittings are designed to be fully isolated from floor while in use. Please call Bob Brams at with questions. Thanks!